Billed by the DEC as having “some good fishing opportunities,” Sturgeon Pool is known to have mainly smallmouth bass (with some longmouth bass), chain pickerel, carp, crappie and panfish. 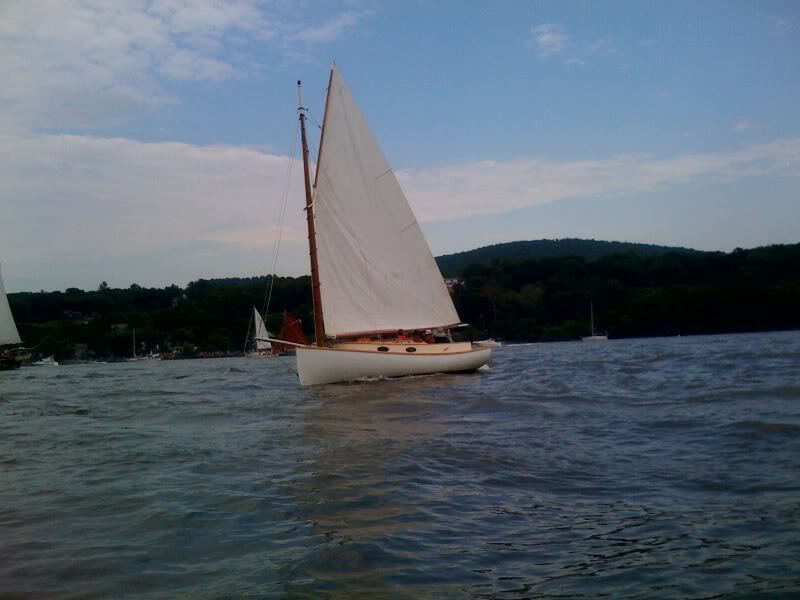 It was created by damming the Wallkill River in 1923 for hydroelectricity, and connects to the Rondout Creek, which goes north through Kingston before reaching the Hudson River. High Banks Preserve is maintained by Scenic Hudson and opened in the fall of 2016. 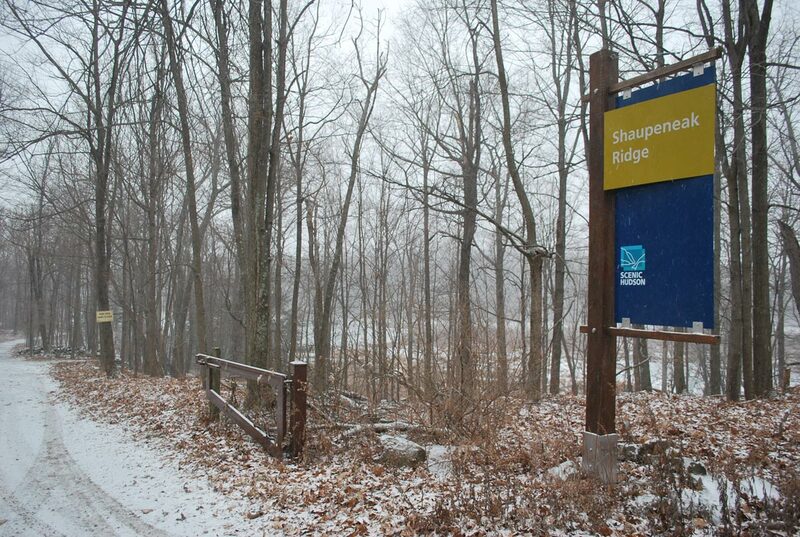 It’s a 287-acre preserve that includes views of the Hudson, wetlands, meadows, forests and a shoreline along Esopus Lake, and to the south, along Mirror Lake. The Preserve also has close to three miles of trails that are marked on this map. 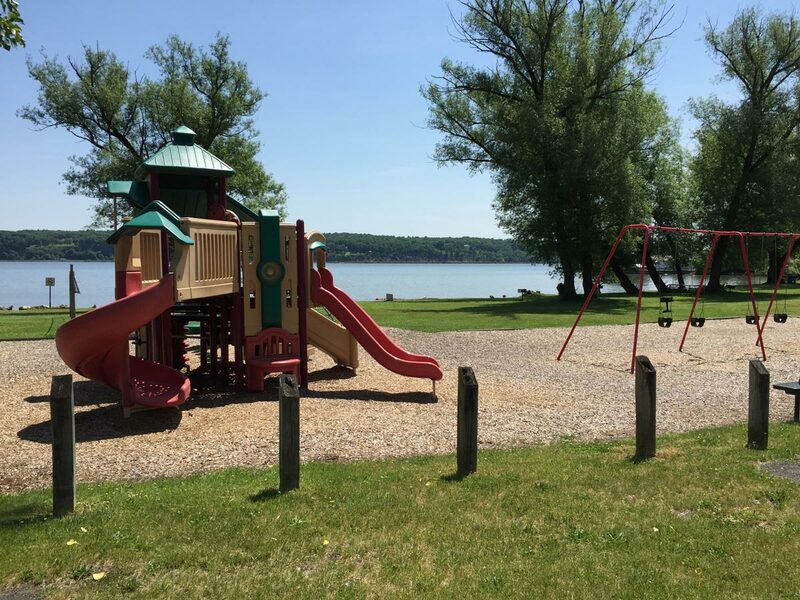 Sleightsburgh Park is owned by the Town of Esopus, and is a 79-acre peninsula that features two trails and two small islands, along with the foundation of the former Rondout Lighthouse. One unique feature is the Sleighsburgh Spit, which is where a number of abandoned 19th century barges were left behind when the Rondout Creek and the Delaware & Hudson Canal were was a major throughfare for shipping; you can still see them during a low tide, and Kingston’s Hudson Valley Maritime Museum occasionally leads tours there. 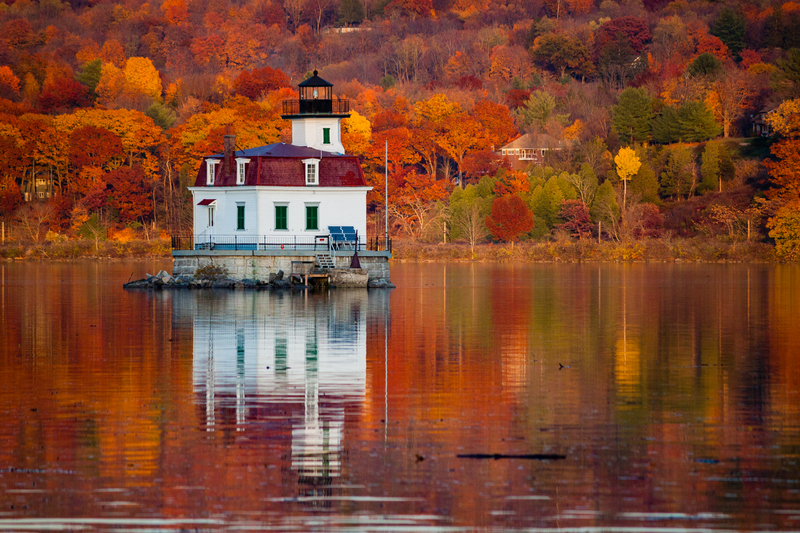 The Esopus Meadows Lighthouse was built in 1871, replacing an earlier structure from 1839. It was added to the National Register of Historic Places in 1979, and in 1990, the Save Esopus Lighthouse Commission, which led a decades-long effort to restore the lighthouse. Tours are occasionally available for the lighthouse, but Scenic Hudson’s nearby Lighthouse Park is open year-round. This one is a whopper; over 900 acres of grasslands, woods, a waterfall, and rock formations as part of the Marlboro Mountains, with nearly nine miles of trails, open year-round. Hike the Hudson Valley did a nice writeup of the two-mile loop around Louisa Pond, where visitors sometimes canoe, kayak or fish. It is believed that Floyd Ackert Road, which runs uphill to the Ridge, was used by Sojourner Truth on her 11-mile escape route from slavery in West Park in 1826. Black Creek features 130 acres of somewhat challenging hiking hiking, a beautiful suspension bridge, and a trail that leads right down to the shores of the Hudson River, with views across the way of Staatsburg. Another Scenic Hudson river-side park, this is very accessible hike that, thanks to almost $400,000 of improvements made in 2014, features disabled parking and trailhead amenities that are fully ADA-compliant. It’s considered a prime spot for watching bald eagles. The hub for everything history-related in Esopus, this museum is open year-round on weekends from 11 a.m. to 4 p.m., and by appointment on weekdays in the spring, summer and fall. 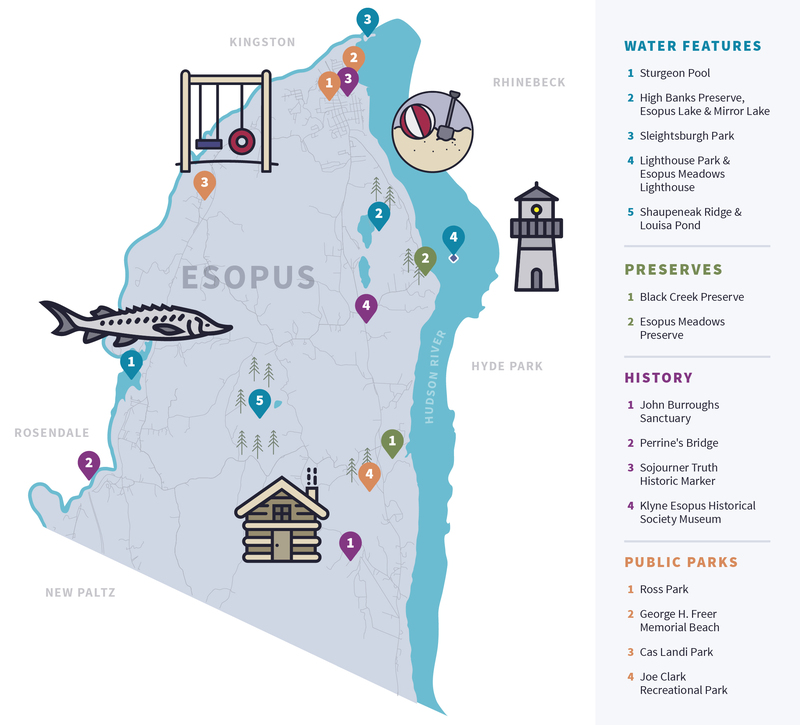 You can see historical artifacts and learn about Esopus’ rich history, starting with Native Americans, the arrival of explorers like Henry Hudson, the birth of Sojourner Truth, the official formation of the Town of Esopus, and the development of our hamlets. It’s also home to the Strawberry Festival every June, which is Esopus’ longest-running annual event. John Burroughs was a renowned writer and naturalist who grew up in the Catskills region. Right after the Civil War, he purchased a fruit farm in the town of Esopus, and built a cabin to write in known as “Slabsides.” It’s said that he hosted guests like Henry Ford, Thomas Edison, Teddy Roosevelt, John Muir, and Frank Chapman. The 200-acre sanctuary is now home to four and a half miles of trails, and a larger trail called “John Burroughs Black Creek Trail,” which will include biking and paddling in Black Creek between Esopus, Lloyd, Highland, and the Walkway over the Hudson, is in the works. Listed as a New York Historical Site and in the National Register of Historic Places, this is the second-oldest covered bridge in the state. It was built to facilitate trade between our hamlet of Rifton and the nearby Town of Rosendale back in 1835, for the low sum of $2,200. It’s renowned among covered-bridge enthusiasts as being the last example of “Burr Arch Truss” design. This park features a pavilion, playground and ball field, and can be rented between the dates of March 1 and October 9. The land for the park was donated by Dr. George Ross in 1958. Like Ross Park, Freer Memorial Beach can be reserved and rented between May 1 and October 9. It also has a boat launch for the Hudson River. Also known as St. Remy Field, this park features a gazebo, courts for tennis and basketball, a baseball field, and a playground. This park is located on Floyd Ackert Road in Ulster Park.